The delightful simplicity of 1970s trail riding was that your bike was ready to go anywhere if you were. 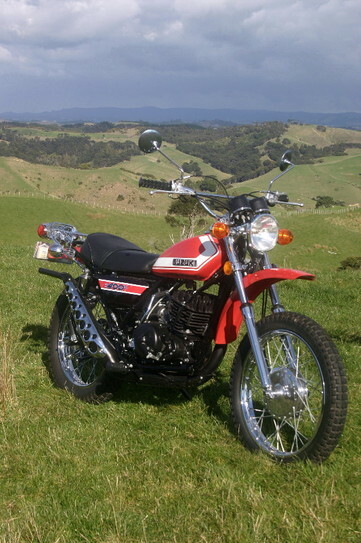 The 1970s heralded a boom in trail bike riding in NZ. The new decade was to be an exciting time for young people with with the growth of the new youth culture, a big rise in youth wages and a partial relaxation of import controls of luxury goods and hire purchase. Couple that with the development of practical Japanese trail bikes and all red-blooded males capable of drawing breath were lusting after a trail bike. Trail bikes of the 1970s were not only weekend off road fun, they had to double as weekday transport as few young people could afford four wheels as well as two. Therefore the trail bike was entirely dual purpose with lighting and usually, trials universal tyres that wore well on road. Many riders also rode their bikes on long road trips. Pillion pegs were essential as any girl with a little spirit wanted a ride home on the back of your trail bike from a party. Trail bikes were also so popular that production scramble (motocross) races were held and a dedicated trail class was run at most meetings. 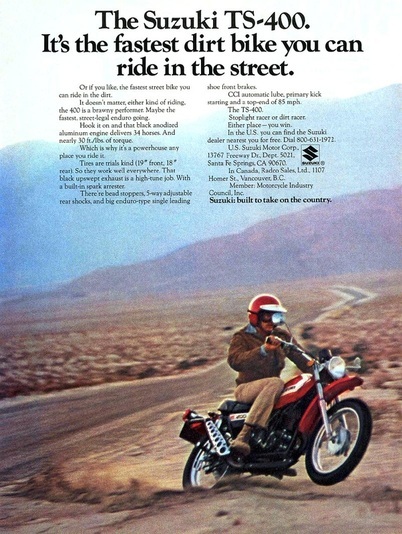 Trail bikes of the 70s were unsophisticated in comparison to modern dirt bikes, but they were very easy to ride and had low seat heights. The delightful simplicity of 1970s trail riding was that your bike was ready to go anywhere if you were. In this section of the site I will be progressively adding test rides of the classic trail bikes of the 1960s and 70s ridden in real off road situations.